Having a handicap of 3 and a passion for golf I decided that I would prefer to do something that I enjoy as a profession for the rest of my life rather than get stuck in a rut with a job that I hated. It took twelve months of research and serious thought before deciding that I wanted a career in golf starting out as an assistant professional. Now several months later I am so pleased that decided on this career path. I was determined that right from the start it would have to be an attachment with an exceptional golf club and one with an exciting future. This would be the only way to maximise the potential career opportunities within the sport, the only way to build a reputable profile and the only way to improve my golf game by working under a well qualified professional. I did not want to work at a golf club where the professional was not interested in my future and to just finish up being a glorified shop assistant. Coming across a job opportunity at ‘Astbury Hall’ in Shropshire, it was obvious that the facility ticked all of the boxes I had wished for myself. Astbury Hall advertises itself in respect of having the highest quality playing surfaces one can find anywhere in the country, and is a credit to its owner and designer, rock legend Ken ‘KK’ Downing from Judas Priest. The “cherry on the cake” was that Astbury was being managed by one of the world’s leading ‘Golf Management Company’s, Troon Golf. With ‘Troon Golf’ on board, I knew that I would be trained to the highest possible standard by ‘Director of Golf’ Philip Henderson, whose role is to develop and enhance Astbury Hall’s sky high potential. Working to ‘Troon Golf’ standards has made me feel such an integral part of Astbury Hall’s early success and has given me responsibilities that most assistant professionals are not lucky enough to have, such as managing the shops stock levels, stock orders and overall shop presentation, whilst also encouraging membership sales and promoting the ‘Astbury Hall’ brand all over the country. Once PGA qualified, there are many career paths open you, other than simply becoming a club professional. Obviously you can pursue a playing career in tour golf if your game is of a higher enough standard. You could develop coaching skills and become a top quality coach, which could only be helped by receiving the best PGA training at an excellent golf facility such as Astbury. Another career option, which is the one I want to pursue, is that of ‘Director of Golf’. I feel this is the direction I would prefer to take as my knowledge of the sport plus a very good business mind can be combined to produce a high quality product. Being associated with Troon Golf will give me the opportunity to learn vital skills, accept responsibilities, and gain confidence whilst being rewarded for a job well done. 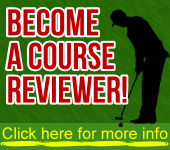 I would encourage anyone to become an assistant golf professional. I will stress though, the importance of finding a Golf Club offering the highest standards both on and off the course, which will help in shaping your future. I feel it is also important to have a clear career path set out to pursue within the sport. This is much more likely to open doors once qualified and accepted as a full ‘PGA Member’.